^ Quickfacts.census.gov - Monroeville, Alabama - accessed 2011-12-06. Wasmer, Robert A., “Partisan Warfare in Monroe County, Tennessee, during the Civil War: The Murder of Joseph M. Divine,” Tennessee Historical Quarterly, 68 (Spring 2009), 66–97. 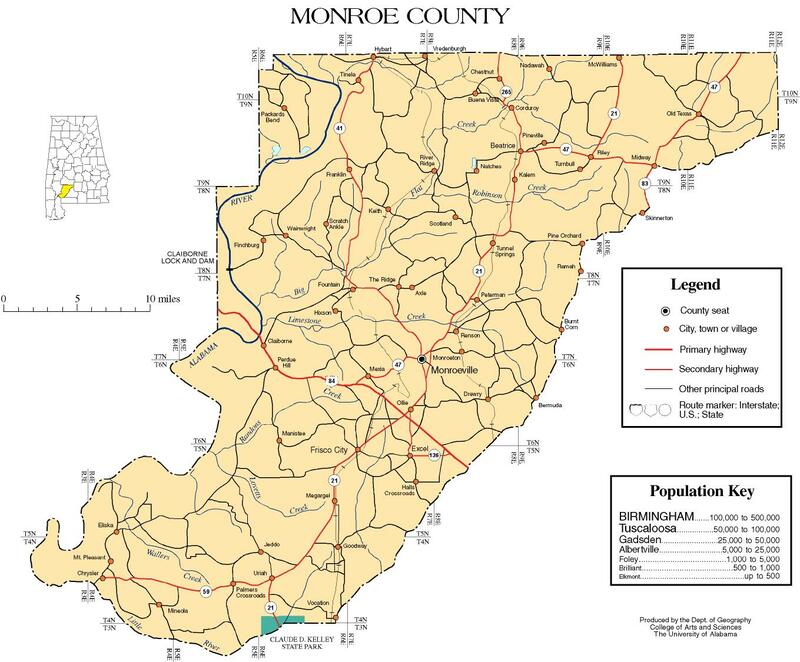 Monroe County map of roads/towns (map © 2007 University of Alabama).